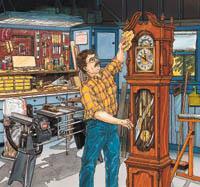 Build a wooden clock as an heirloom piece or tackle plans for a grandfather clock. Choose from the many free clock plans below. Overall dimensions, dial frame, spindle pattern, arch pattern, these instructions & more. Build a reproduction "Regulator" to take you back in time. 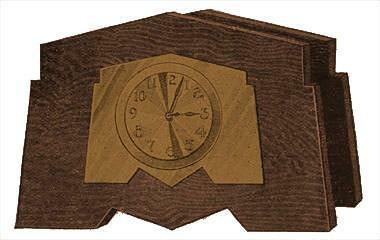 An easy veneer project for a mantel clock. 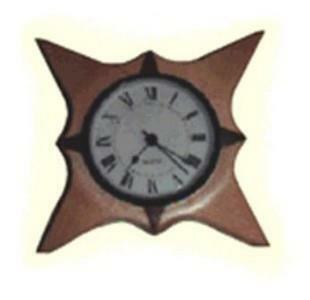 Each of the clock designs is illustrated with a series of rendered images. Here is a decorative, practical project for your living or dining room that will harmonize with traditional or modern furnishings. 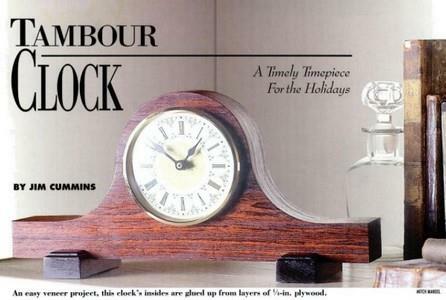 Here's an easy-to-build, bracket-style mantel clock. 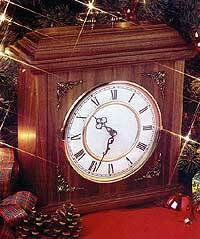 Build a grandfather clock your family will cherish for generations in the simple beauty of mission style. 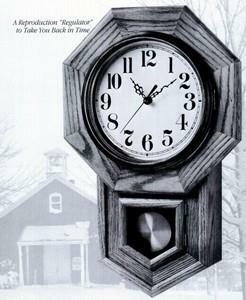 Build a shaker style, cherry wood wall clock. 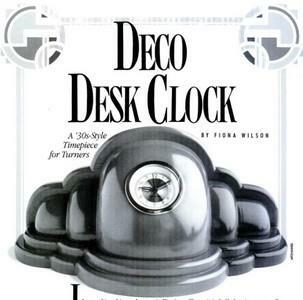 Turn a 1930's style clock. 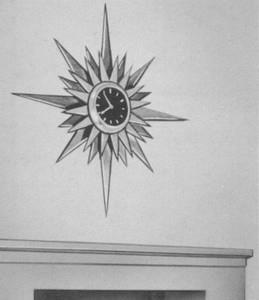 To read this clock, you have to look down on it. This clock is designed to use a 3 1/2 inch clock face with a 3 inch mechanism.